How do employers use unaccredited training? A recent paper released by NCVER explores why employers use unaccredited training. It also looks at why they choose unaccredited training over accredited training, and whether this training meets their needs. So, what is unaccredited training? A report published by NCVER late last year and authored by Ian White, Navinda De Silva and Toni Rittie looks at “the key drivers of employer investment in workforce training”. As we know, employers use a variety of training approaches, including accredited, unaccredited and informal. Unaccredited training often takes the form of “structured training or instruction that does not lead to the attainment of a formal qualification or award, for example, short courses, product-specific training and industry- or organisation-specific training.” Informal training is unstructured and occurs ‘on the job’. Unaccredited training is becoming more important as one of the outcomes of the Review of the Australian Qualifications Framework may be to recognise this form of training more formally and readily. What do employers think of unaccredited training? The biggest users of unaccredited training are large companies, with about 84% using it. Medium sized companies, employing between 10 and 99 staff are also relatively big users at 69%, while, comparatively, small businesses use it much less (around 43%). Indeed, the overall satisfaction with unaccredited training is above 94% for all external training providers used. By comparison, accredited training was largely delivered externally by TAFE (technical and further education) institutes (35% of employers) and private training providers (35%). Which industries make most use of unaccredited training? 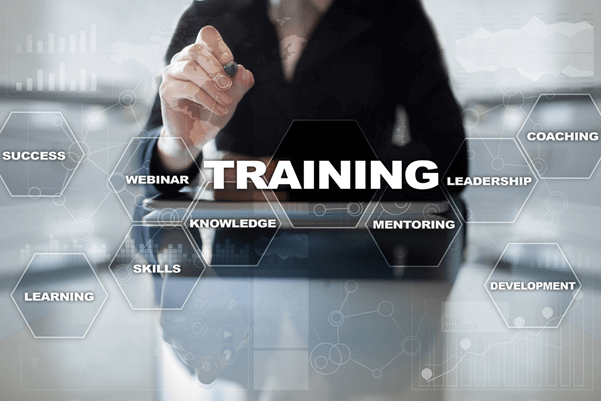 Comparatively, those industries making most use of unaccredited training include financial and insurance services; rental, hiring and real estate services; public administration and safety and education and training. Some of these are also large users of the VET system. Almost all industries are big users of informal learning. Employers use both accredited and unaccredited training to provide the skills needed for the job and to maintain professional/or industry standards. Unaccredited training is more likely to be used to address job relevant or organisation specific training needs and in response to new technology. Accredited training is preferred where legislative or regulatory requirements have to be met, or for staff career development. Significant amounts of unaccredited training are provided by in-house trainers. The authors suspect that there is a possibility for external providers to increase their footprint in this market, but only if they are offer training that is highly attuned to client needs and industry current.